Have you ever spoken to someone with neck pain, and they reply with the word Whiplash. . .? What does whiplash technically involve? Whiplash is classified under an acceleration/deceleration injury. This means that the neck is rapidly accelerated and thereafter rapidly decelerated.This can occur in a rapid hyper-extension and a rapid flexion of the neck. As well as a rapid lateral flexion from one side to the other. In some cases there is a slight rotation to the neck while the extension/flexion whiplash occurs. Rotation: Turning your chin to your shoulder. When do these injuries occur? The most common cause of the injury is in motor vehicle accidents, when your vehicle is hit from behind or from the side. They do however also occur in sporting injuries or where ever opportunity presents itself for an unexpected forceful movement of the head. 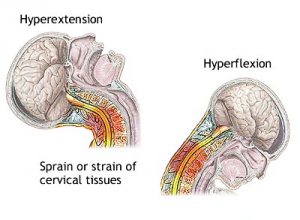 Research has shown that most damage occurs during a flexion/extension whiplash, or when there is a slight rotation to the head while the whiplash occurs. The signs and symptoms after these injuries are usually not present directly after the incident, but rather starts the following day. These include neck stiffness, neck pain and headaches. Less common symptoms are dizziness and numbness in the shoulders or arms. 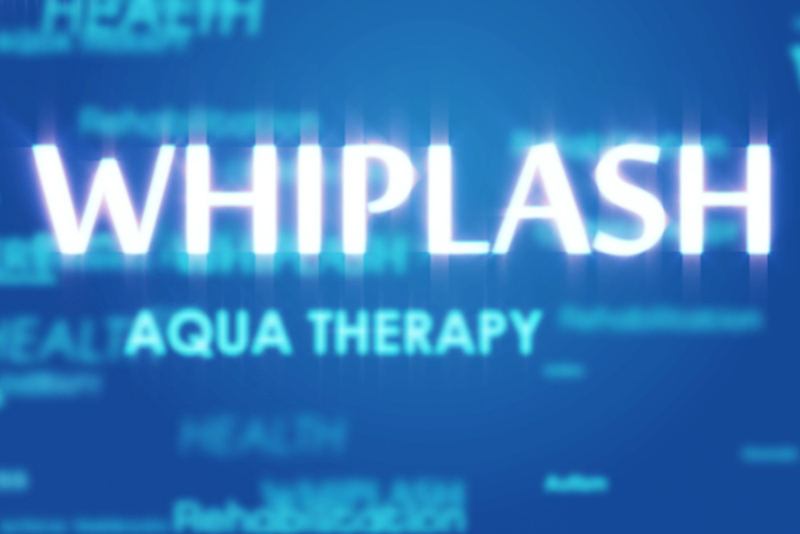 Long term effects of whiplash depend on treatment done after the incident and severity of the injury. These long-term effects are continued dizziness and difficulty in balancing, chronic neck pain, hypersensitivity of the nervous system and in worst cases inter-vertebral disc damage. In the case of hypersensitivity of the nervous system, the patient reports pain and nervous system symptoms (numbness, pins and needles) but during investigation and MRI, no damage is noted. 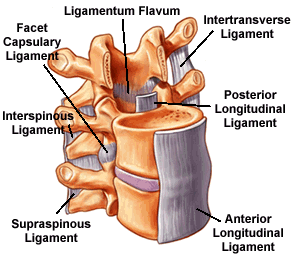 The inter-vertebral disc involvement usually does not present itself for at least 2 years post injury and in severe cases needs surgical intervention. What treatment should be done? The patient should go for an evaluation as soon as possible to rule out dislocations and fractures. Thereafter a soft cervical collar will be applied to help with the stability of the neck and reduce muscle spasms in the neck, which can cause more pain. In severe cases bed rest is subscribed for one to two days. Meanwhile, ice and heat should be applied in the initial 72 hours to help alleviate pain and stiffness in the neck. Thereafter movement in the neck should start to strengthen and loosen the muscles surrounding the neck. Initially these exercises should be done with light intensity and gradually be built up. Examples of exercises are isometric exercises when resistance is applied to the muscle but no movement is seen. This can be followed by resistance band exercises to strengthen. Long term rehabilitation consists of continual neck strengthening exercises. When symptoms such as difficulty with balance occur, balancing exercises should be included into the program. Studies have shown that following a 4-6 week treatment program, consisting of varies modalities up to 92% of injured individuals return to normal life and work without longstanding effects. ⟵Tension Headaches | Is neck strain causing your headaches?